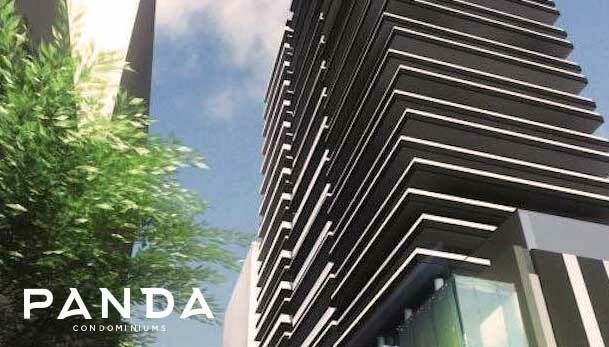 Register here today for Panda Condo Development Selling October 2017 By Lifetime Developments. 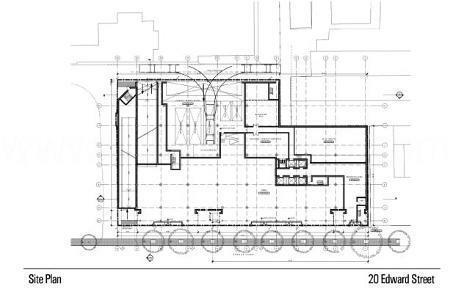 This proposal also includes a 3-storey (18.2 metres in height) commercial base and a 1-storey mezzanine. Which is a total of 6,399.45 square metres of retail space on the ground level, mezzanine, second floor and concourse level (one level below grade) - and a 2,843.78 square metres of office space on the third floor. 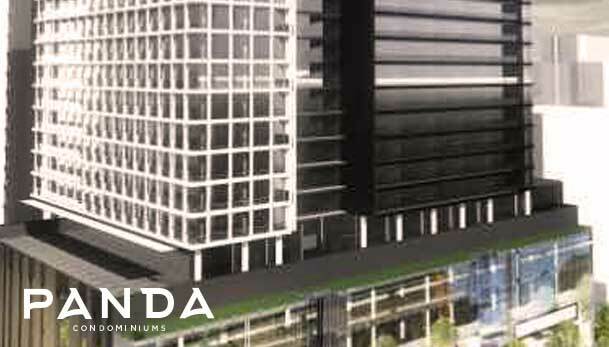 The Panda tower has a total of 572 residential suites proposed of which 7.7% or 44 will be bachelor units, 48.4% or 277 will be one-bedroom units, 35.3% or 202 will be two-bedroom units and 8.6% or 49 will be three-bedroom units. Total residential gross floor area is 38,332.02 square metres. 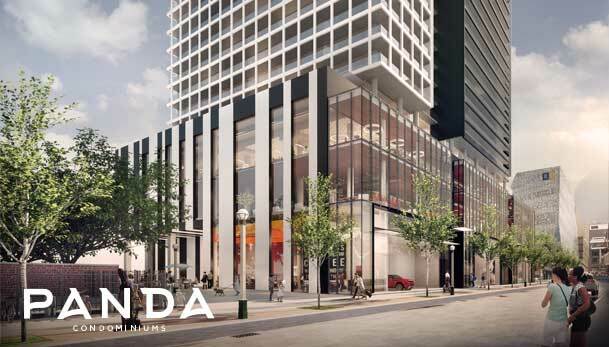 This residential component will be situated on top of the 3-storey (18.2 metres in height) commercial podium base that will have 6,399.45 square metres of commercial/retail space with retail use space in the below grade concourse level as well as the ground level and second floors. The office use space will be located on the third floor. Total gross floor area for the whole building including ground floor area, residential and non-residential is 47,575.25 square metres. 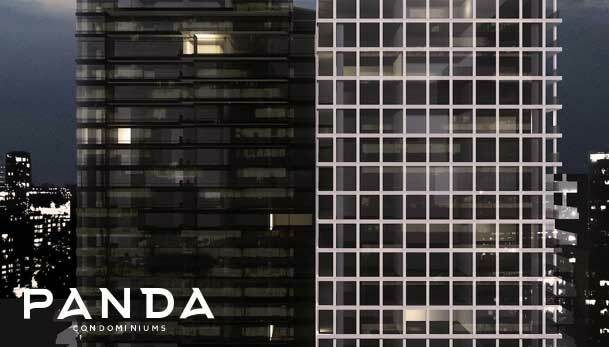 Panda Residences in Toronto has five levels proposed below grade. Three of those levels will be for 241 (+ 8 car share) vehicular parking spaces and one level will be for the retail concourse (123 residential parking spaces, 118 commercial spaces and 8 car share spaces). There are also 627 bicycle parking spaces proposed. 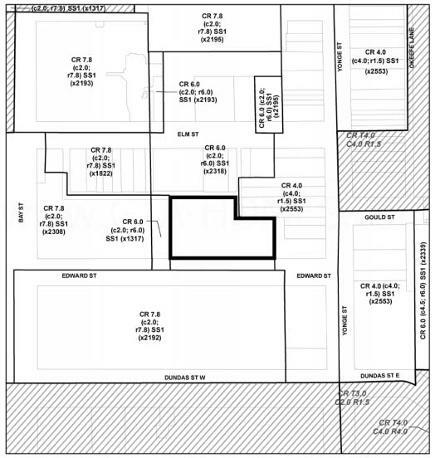 Access to parking will be from Edward Street and the rear lane on the north side of the building and the five loading spaces is also from the rear lane at grade level on the north side of the building. People come from far and wide to discover a place where every day is shaped by magnificent events and experiences. Culture seekers are instantly immersed in the vibrant arts scene. Adventurous spirits are unleashed on the dynamic streets. You’re surrounded by everything, retail shops around every corner. But when you want to wine, dine and relax spoil yourself in the resort-style spa, a sanctum for your inner self. Panda welcomes its residents and guests to a sleek lobby - here highly trained concierge staff can be found 24 hours a day. Providing security and ready to assist with any requests, they take great pride in offering a service that's personal attentive and discreet. Some of the amenities that you will find at this ambitious real estate development are a grand two storey chic lobby with fireplace lounge, ground floor retreat with fireplace, fitness facility with a fully equipped gym and cardio machines, weight room, yoga and pilates. There are even guest suites for overnight visitors. Event space “Multi-Purpose Room” with lounge and bar and a private dining with chef’s kitchen. There’s also a theatre, study rooms, lounges for kids and playroom. 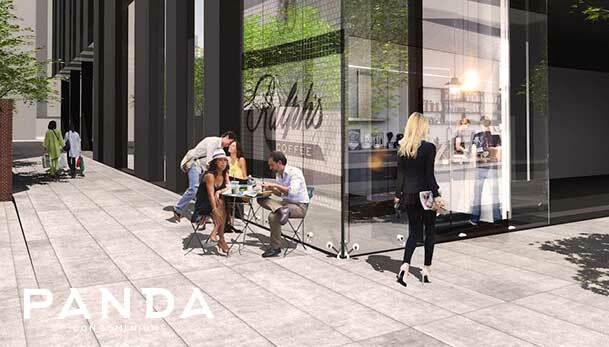 Outdoor amenities with barbecues, outdoor dining and lounges. The list is as long as your imagination. Design-infused Suites. Suite finishes will be with stylish kitchen, modern living and designer ensuite. Soaring 9”ceiling heights with floor to ceiling windows provide stunning, unobstructed city views. Choice of designer selected engineered laminate flooring, sleek kitchen cabinetry, custom designed with a choice of light or dark quartz countertops, state of the art stainless steel stove and microwave oven with exhaust fan and fully, paneled fridge and dishwasher. Modern bathroom cabinetry also custom designed with choice of Quartz countertops. In-suite laundry closet with white stacked washer and dryer. These are some of the amenities that will be offered at Panda Condos, of course these are subject to availability and subject to change without notice. 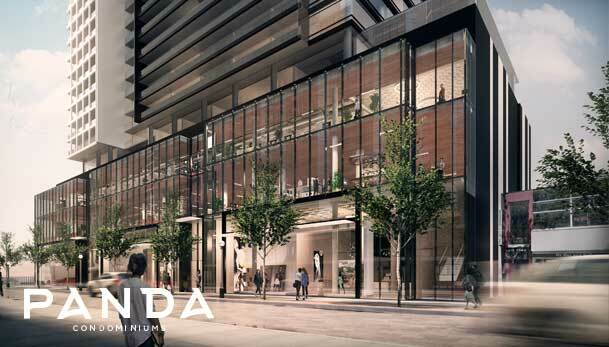 At the trendiest corner of the city at Yonge & Dundas, Panda sets the bar for spacious residential luxury on Yonge St.The residential lobby is proposed from the southeast corner of the site with access from Edward Street. 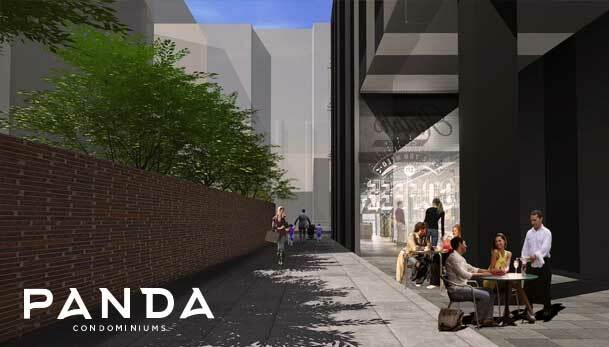 Most of the frontage along Edward Street is proposed to be retail. 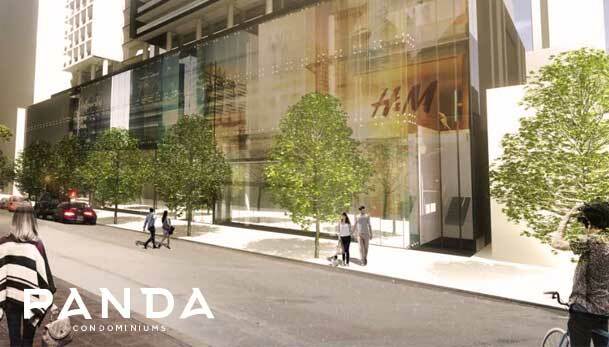 There is 892 square metres of proposed indoor amenity space and 653.75 square metre of proposed outdoor terrace amenity space which will wrap around the west and north side of the building. 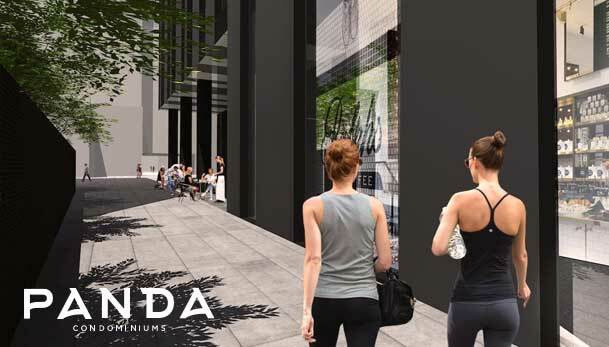 The Panda Condos amenity space is proposed to be on the fourth level. If there's one area in Toronto that's undeniably classic, its Yonge St. Streets lined with boutique bakeries, celebrity chef-owned restaurants, contemporary offices, swanky bars, and one-off stores, the people strutting the sidewalks of Yonge are a different kind of cool. 20 Edward Street is located in the Heart of Toronto, steps to Ryerson University, Yonge Dundas Square, Dundas Station, Eaton Centre, University of Toronto, Financial District, St. Lawrence Market, Chinatown and much more! Register with us today for Brochure, Floor Plans & Price List. Launching Fall 2017! 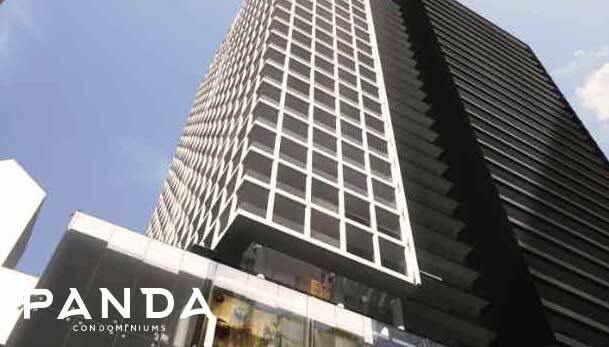 For more information, please register today for the Panda Condominiums.